Lori has been involved with Karate-do for many years and began her taining as a youth in the style of, Shotokan Karate-do in Ontario. 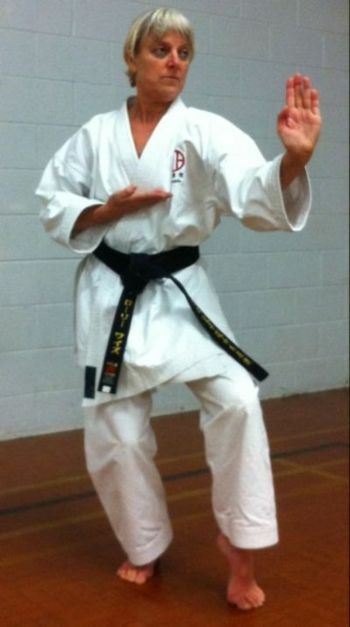 Originally from Ontario, Lori moved to Vancouver, BC in 1994 with her husband and two children, where she later became involved in Seiko Kai Shito Ryu Karate-do with her son. Between 1999 - 2004, Lori trained under, Shihan Akira Sato in Vancouver, BC, then switched to, Seito Shito Ryu under Sensei William Chung and has continued to train hard. Besides Karate training, Lori also enjoys long distance running and has run in The Sun Run, The Fall Classic Half Marathon, The Coho Salmon Run and other running events. Lori works in the Child and Youth Mental Health section in, Vancouver, BC. and is also involved in a choir at her local church.